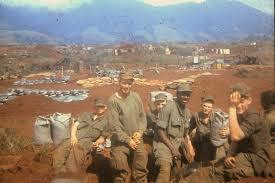 Forty-nine years ago yesterday, Second Platoon, Bravo Company, First Battalion, Twenty-Sixth Marine Regiment went outside the wire at Khe Sanh. BRAVO! 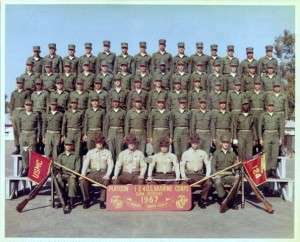 Marine Michael E. O’Hara muses on his memories of that day in this re-posting of a guest blog he wrote six years ago. “Flanders”, a novel by Patricia Anthony, is set in France in WWI. It tells of a Texas farm boy, Travis Lee Stanhope, who joined the British Army and fought there Mar/Dec 1916. As time passes and casualties mount, Travis Lee begins to have dreams, dreams of a beautiful garden, the sweet smell of lavender, and a girl in a calico dress who assures him she will watch over his friends, his “GHOSTIES”, buried in the glass covered graves there. It is 21 March 1968. It has been nearly a month since Bravo lost the third platoon and has been confined to the trenches. The mud, the rats, the constant incoming artillery, sixty days without respite. Bravo just lost another five Marines on the 6th of March as we watched a C-123 get shot down, which was also carrying fifty-two other personnel. We are becoming very anxious and are about to tangle with Charlie once again. Left to right: Michael Carwile, Steve Foster, Michael O’Hara, Quiles Jacobs, Doug Furlong, Ken Rodgers. Photo courtesy of Michael O’Hara. The second platoon, Bravo, leaves the wire pre-dawn. We position ourselves in front of FOB 3 where the Army controls the wire. We sit down in an “L” formation and wait for first light. We begin to rise at about 8 a.m. and it starts immediately. Red tracers from our rear (USA) and green to our right (NVA), then the mortars and RPG’s. My squad leader, Quiles Jacobs (Jake), is right in front of me and his flak jacket explodes in my face. It causes him to stagger a bit but he does not go down. He has been hit by a .50 cal bullet (USA). To my immediate rear are Doug Furlong and Dan Horton. They go down, hit by an 82mm mortar barrage, along with others. We are getting caught in a crossfire from the USA and the NVA. Someone failed to get the word we are in front of U S Army lines. Fortunately the friendly fire is soon checked and our heavy artillery quickly silences the mortars and small arms fire coming from the enemy tree line. I find myself, literally, holding both Horton and Furlong as we apply first aid and wait for the stretcher bearers. Many years will pass before I ever hear their voices again. Amazingly, we are ordered to continue the patrol even though nearly twenty have been wounded and I think four have been evac’d. After a while I notice much blood running over Jake’s trousers from under his jacket. When I ask if he is alright, he just tells me to take over the point so we can finish our mission and get back. When we do, they put over 120 stitches in his back without any anesthesia and he still refuses to be med-evac’d. We have gathered much on this patrol. We found siege work trenches, way too close to our lines, meant for a jumping-off point for a full frontal assault on our positions. We were able to locate many probable mortar and machine gun positions. The enemy trenches were scattered with dead NVA and beaucoup booby traps. Little do we know it will only be nine days until we all re-visit the ambush site for our final revenge. Jake, still wearing his bandages, will lead our squad headlong into hell once again. Flamethrowers, fixed bayonets, overhead heavy artillery, close air support (I do mean close) and napalm will rule that day. Tonight, all of Bravo will rest easy and dream of the beautiful garden, the sweet smell of lavender, and the girl in the calico dress who is watching over our “GHOSTIES” in their glass covered graves. Soon though, she will beckon thirteen more from Bravo to join her. Although Charlie did his best to lessen our numbers it would be a silent killer that would continue to cause casualties. Jake was the first on 19 April ’95 when the country’s eyes were on Oklahoma City. 1998, Bill Jayne and I would bury Don Quinn at Arlington. 2001 it was Doc Tom Hoody, then sometime along the way we lost Steve Foster. Many more would follow. Dan Horton and I hooked up again in ’93 and had some really good times together. 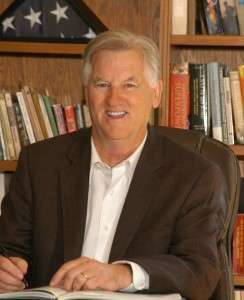 I was contacted around 2002 by Doug Furlong. He lived in Australia. I never saw him again but was able to enjoy our occasional conversation. Then in the fall of 2010 it was becoming obvious both these guys were in some serious danger. These were the two I held in my arms on 21 March 1968 and here they were both casualties again. Doug would leave for the garden on Halloween night and Danny, in all his glory, went there on 10 November, the Marine Corps birthday. I was absolutely STUNNED that it was these two who were wounded together, suffered together, and would die together some 42 years later. CANCER! All of them. I attended Danny’s service in Detroit. He was laid out in his dress blues, rosary in his hand, and I found I just had no tears. I was so damn proud of him. He was Marine to the bone. Oorah! God knows I miss them all so. I still set time aside each day just for “my” Marines. 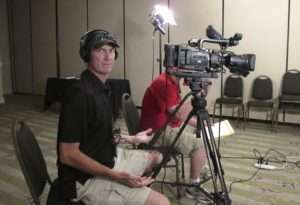 Michael E. O’Hara during his interview for Bravo! Photo courtesy of Betty Rodgers. As for me, I will continue to dream of the beautiful garden, and enjoy the sweet smell of lavender, as the girl in the calico dress watches over my “GHOSTIES” in their glass covered graves, until such time as she beckons me also. 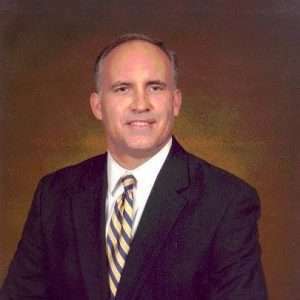 Michael E. O’Hara grew up and continues to live in Brown County in Southern Indiana. 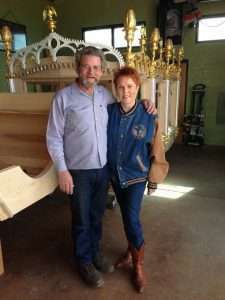 Michael and his partner Maxine have been together 43 years. 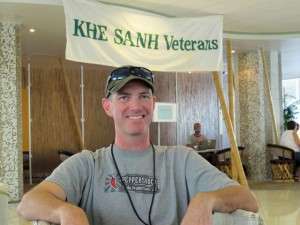 Today’s guest blogger, Mike Archer, is an author, Marine and survivor of the Siege of Khe Sanh. 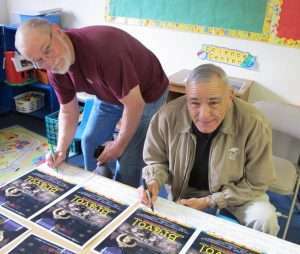 Mike shares information on his books, his friend Tom Mahoney and efforts to find Tom’s remains forty-eight years after Tom disappeared at Khe Sanh. 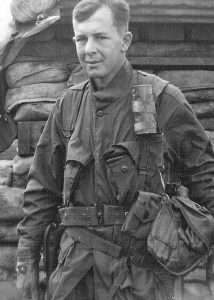 IN THE CLOSING HOURS of the fight to hold the Khe Sanh Combat Base, after the longest and bloodiest battle of the Vietnam War, Tom Mahoney inexplicably walked away from his platoon, unarmed, and was shot to death by enemy soldiers hiding nearby. His fellow Marines made several desperate attempts to recover their well-liked comrade from under an intense enemy ambush, but were finally forced to leave him behind―though never forgotten. 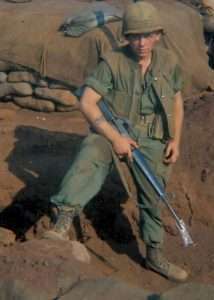 Mike Archer at Khe Sanh, 1968. 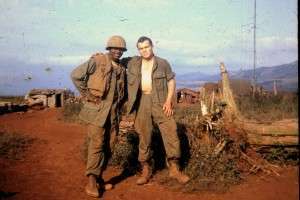 Along the way, I discovered the unexpected compassion of former mortal enemies from that battlefield, now wishing to help honor the memory of a lone American among the tens of thousands on both sides who were sacrificed in the great meat grinder of Khe Sanh. Swept up in this increasingly bizarre pursuit of clues, I was drawn back to that infamous battleground and eventually tracked down and interviewed the last remaining eyewitness to Tom Mahoney’s death―one of those who killed him. 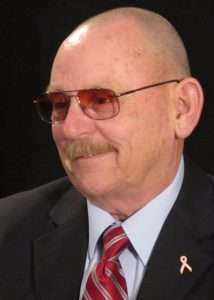 In June 2016, the Defense POW-MIA Accountability Agency (DPAA) will be taking three former members of Tom’s unit back to where he was killed on Hill 881 South in an effort to identify the exact site and excavate. It is not the first time the DPAA has searched for Tom’s remains, but it is the first time they have taken witnesses who were on the scene moments after hearing the gunshots that killed him. An excavation in August 2014 was unsuccessful because the DPAA was looking on the wrong hill. 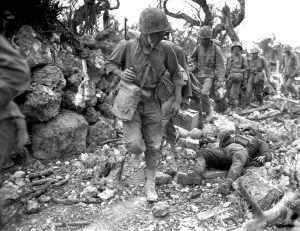 But the expectation of success is higher now, as one of these three Marine veterans of that fight had worked his way to within just a few yards of reaching Tom’s body from under an intense enemy ambush, when darkness fell forcing the men to call off the effort. Another reason for optimism is a series of successful identifications of remains from the Khe Sanh area by the DPAA over the last eleven months. These three American soldiers were killed at different locations just a few months, and a few miles, from where Tom fell. Vietnamese and Laotians, dealing in the illegal, but booming, bone trade, provided these partial remains; two of the sets confiscated in 1989 and turned over to U.S. officials, where they became part of over one thousand sets of human remains backlogged and being warehoused in the Central Identification Laboratory near Honolulu. But is there evidence of bones being found on Hill 881 South? 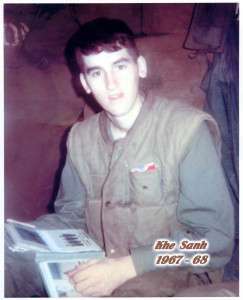 In January 2007, U.S. and Vietnamese MIA researchers met at Khe Sanh with two elders from the village of Lang Ruon, located down a steep slope on the north side of Hill 881 South, about five hundred yards from where Tom’s body was last seen. 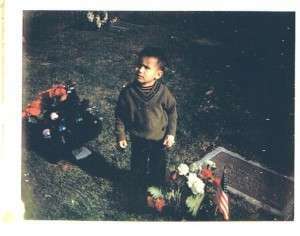 They told the researchers that after their return to Ruon in the early 1970s, they’d heard nothing about the discovery of remains or the personal effects of an American soldier. However, as the villagers began forays up the hill to collect metal to sell, they regularly saw bones. “Many buffaloes died,” one elder explained, “and when people saw the bones, they were unsure what kind of bones they were.” Perhaps some were collected and sold to bone traders and, although it is a slim possibility, Tom’s remains may already be at the Central Identification Laboratory in Honolulu. But, more likely, they are still on the hill which, unlike the highly acidic deep, rust-colored volcanic soil in the lowlands surrounding it, is comprised of metamorphic rock, like schist, thus giving hope they have been better preserved. Everyone involved in this upcoming mission back to Hill 881 South in a few weeks is very excited and hopeful. I will keep you in the loop as things progress and thanks to so many of you for your interest in The Long Goodbye. 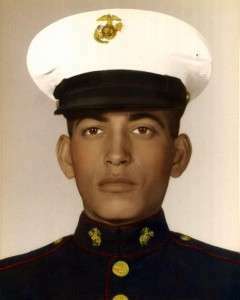 MICHAEL ARCHER grew up in northern California and served as a U.S. Marine in Vietnam during 1967-1968. 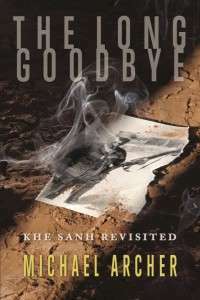 His books include A Patch of Ground: Khe Sanh Remembered, an acclaimed first-person account of the infamous seventy-seven-day siege of that American combat base; A Man of His Word: The Life and Times of Nevada’s Senator William J. Raggio, about one of Nevada’s most courageous, honorable and admired citizens; and The Long Goodbye: Khe Sanh Revisited, chronicling the author’s search for answers to a friend’s mysterious death at Khe Sanh. Michael lives in Reno and, in addition to his writing, is a staff member with the Senate Committee on Finance at the Nevada State Legislature. You can find out more about Mike Archer and his books at www.michaelarcher.net. 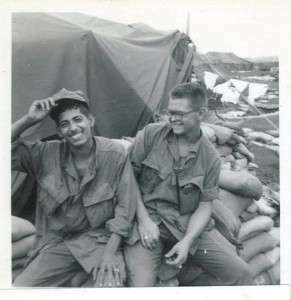 Guest blogger Ron Reyes’ continuing story of his search to discover more about his father who was killed in action at Khe Sanh on March 30, 1968. Pete skips through the next sequence of events. I find out later that Pete jumped out of the trench to grab Tommy as mortar rounds were splashing all over the place. He carries Tommy and BOOM gets knocked down, picks up Tommy and, BAM, down again. One more time, and WHAM. This time he makes it to the trench. Those few yards must have seemed like a football field. Pete gets to the edge and my dad is the first one there to help out. They grab a stretcher, put Tommy in it, and away they go. The group gets moving, BOOM, they drop Tommy. This is not Tommy’s day. Get going again, and BLAM. Silence, or so it seemed. Everyone was hit. My dad was killed and Pete was hit badly. I talked to Pete for about an hour. “He was a good Marine,” he said. Wow, this has really come together. Pete gave me a phone number for a Bill Cassell and told me to call. I called as soon as I hung up. 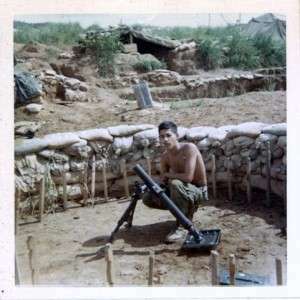 Ron “Baby Sanh” Reyes posing in a mortar emplacement with a 60 mm mortar tube. Photo courtesy of Ron Reyes. At this point, I am still not sure what to tell my grandparents. I talk to my mother after each phone call. She is happy, sad, excited, and scared, not really sure what to do, except let me figure it out. I should explain a little about my mom. She raised me on her own, made sure I had everything I needed and just about everything I wanted. My mother made sure that I never lost contact with my grandparents and that I spent a lot of time with them. Thursday night the phone rings. This time I answer the phone. “Hello, I’m looking for Ronnie Reyes.” “This is Ron.” Silence. I am getting used to this now. “My name is Tommy, and I knew your Dad.” I can’t wait for the rest of the story, and then I get thrown for a loop. “It was a bad day, and I don’t remember much of it. I was hit and your dad was one of the guys who helped me.” I had just assumed that Tommy “T” Wallis had been killed. This was great news. It was in this moment that I realized that my father didn’t die in vain, but for a fellow Marine, a 1/9er, and a brother. We spoke for about an hour. Now I have to tell my grandparents. I make the call. I start talking really fast. My grandparents aren’t sure what I am trying to say. I finally stop and say, “I just talked to some men who were with my father in Vietnam.” I can tell they don’t know what to do. “Grandma, would you like to talk to them?” She doesn’t hesitate and says, “Yes.” I think I gave her Pete’s number. They spoke to a couple of 1/9ers over the next few days. They were happy I made contact. 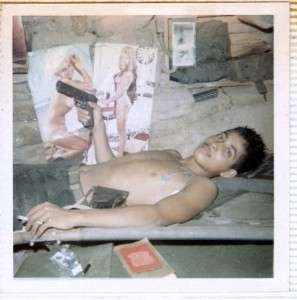 Ron “Baby Sanh” Reyes holding a M1911A1 .45 caliber pistol while relaxing in a bunker. Photo courtesy of Ron Reyes. January of 2000, Tommy calls and wants to know if I would like to get together with him and Pete and go fishing some time later in the year. I have to go. This is the moment I have been waiting for. “One last thing, don’t tell Pete.” What? “It is a surprise. 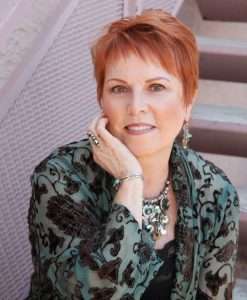 I’m going to tell Pete we are going to drive out to California after the fishing trip and meet you for a day.” I talk with Pete on and off and arrange a date and time to meet him. I fly to Tommy’s hometown to meet Tommy at the airport. We stop in the bar to break the ice and have a beer. Ok, maybe a couple. We pick Pete up and I introduce myself as Eddie Martinez. Tommy explains how he is going to drop me off on the way to their fishing trip. We drive for about an hour and a half and stop at a gas station. I have been having a conversation with Pete about how he is going to meet his friend’s son, Ron. He tells me he is about my age. We stop at a gas station to take a break, and Tommy says he wants to take a picture. “Hey, Eddie, hand him your card.” Ok, I hand Pete my business card, he looks at it and smiles, and turns back to the camera. “Read it, Pete.” Ok, Citibank. He turns back to the camera. “Read the whole thing!” Why is it such a big deal? He reads it out loud, “Ron Reyes,” turns back to the camera, pauses, then he turns back to me. “I am Ronnie Reyes’ son.” After we have a moment, we are on our way. We proceed to badger and laugh at Pete for a while. We spent a few days in Mexico. Then we drove to MCRD San Diego for graduation. We saw the last of the Quonset huts. Then we drove up towards LA. We stopped by the cemetery where my father is buried. Then we met with my Mom and had dinner. The next day my grandparents and my aunt arrived, and we spent all day together. Ron “Baby Sanh” Reyes on the left. Unknown on the right. Relaxing. Photo courtesy of Ron Reyes.